The Philadelphia Eagles have announced that Lincoln Financial Field’s WiFi network delivered record-setting performance at the NFC Championship game against the Minnesota Vikings held on January 21. In addition to the team’s remarkable on-field performance during the 38-7 victory over the Vikings, the connected guest experience was equally impressive. Everest’s performance exceeded the previously-noted results of competitive systems in regular season and playoff games as published Mobile Sports Report. The Everest Network Solution by Panasonic delivered 8.76TB of data to the 35,760 fans that utilized WiFi; a 52% usage rate. At the point of highest demand, during the awarding of the George Halas Trophy, the network supported 29,201 concurrent connections transiting data throughput at the rate of 5.5Gbps. Each of the 35,760 fans utilized the network for an average of 146 minutes. Everest delivered this performance requiring only 200 Access Points in the seating bowl, or 75% less hardware than is typically required by competitive systems. The new system provides an average of 25Mbps throughput to fans seated in the bowl, allowing them to engage seamlessly with league and team mobile applications, social media platforms, video highlights, fantasy football updates, stats, and more. 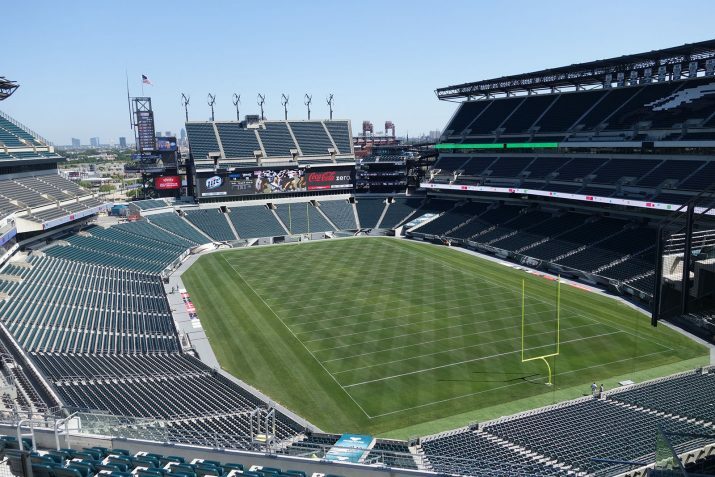 The system features 653 high performance access points installed throughout Lincoln Financial Field.